Below you will find Articles on Tachyon energy as it relates to the products we sell on the Tachyon Energy Products Website. Please enjoy these interesting and informative articles. In the late 1980s, the life of David Wagner, a successful engineer, was brought to an abrupt halt when an accident ruptured three disks in his lower back, ending his career and his mobility, costing him his financial assets and leaving him on permanent disability. After two years of excruciating pain and trying in vain every orthodox and alternative modality he knew of, he finally asked the Universe what he could do to heal himself. The answer came fairly quickly with a complete understanding of how to create a device that would capture Tachyon energy (something he had been exploring previously as an energy source for motors), and focus and amplify it as a healing tool. These devices worked somewhat like an antennae, which capture a radio signal, but in this case an antennae of tachyon. After 90+% healing his back over a 3-4 month period, David has consistently been led by events to offer these products for the healing of others. Since that time, he has developed a whole series of external Tachyonized devices (healing from outside-in) and internal Tachyonized supplements and herbal remedies (healing from inside-out) via his company Advanced Tachyon Technologies, Inc. (ATTI). Be sure to subscribe to the Quantum Vitality newsletter to be informed of new events. In 1966, cutting edge quantum physicists started describing two phenomena: the zero point energy field and tachyon energy. They are both omnipresent and travel at faster than the speed of light. They have no frequency — ie, no oscillation or spin. They are probably not even really energy, but something that might be called ‘pre-energy’. Zero point is formless. Tachyon has form. Zero point is like the ocean. Tachyon is like a drop of ocean water. Tachyon interacts with the part of the universe that moves at less than the speed of light. It seems to be a catalyst or energy source for the evolution of self-organizing systems to greater and greater states of order. Tachyon is the source of all frequency. In our current world, vibrational medicine (ie, healing using frequency) has been the cutting edge alternative approach to health and vitality. This is a true paradigm shift away from the Newtonian & Cartesian worldview focused on the world of matter, of things and nouns vs the world of energy, processes and verbs. One problem that can arise with frequency, however, is that it is not intelligent. It only knows how to be itself, which is its own narrow range of the vast electromagnetic spectrum. Therefore, when a biological system is no longer deficient in a particular frequency, then that frequency becomes invasive, creating an undesirable impact, because nothing or no one turns it off. This was a situation that was very apparent in classical homeopathy, which I studied for several years. There were numerous cautionary tales of practitioners who were so intent on fixing a client they overrode the feedback the client was giving them and actually began imprinting the client with a negative energy pattern. I have personally had a negative experience in another context — an energetic healing training session of giving someone more healing energy than her system was really ready for that day. I was enthusiastic and the instructor who was working with me was excited about the amount of energy being brought through by the two of us, but in hindsight, it seems clear that the client was not asking for that magnitude of energy in her first session. And that, in fact, she received more than was optimal for her, given the healing crisis that seemed to occur. More is not necessarily better. The other problem is the precision required for correctly diagnosing the frequency needed for a particular condition. If it doesn’t match, it doesn’t work. Again, homeopathy is a great example. Becoming a skilled homeopath is long, arduous challenge, and even hard work doesn’t insure that one will be particularly good at prescribing the best remedy. As the source of all frequency, Tachyon is not dependent upon practitioner sensitivity. As an outside-in modality, the Tachyonized devices feed the SOEF (Subtle Organizing Energy Field) of the body (and all the sub-SOEFs of the cells and organs, etc.) by supplying the SOEFs with the raw, full energetic spectrum to choose from. The SOEFs simply convert Tachyon into the needed frequency. When the deficiency is replenished and balanced, the conversion to frequency ceases and Tachyon continues to pass through the SOEFs with no impact. This is true for all external situations where Tachyon is being directed at a life form, whether it is via self-treatment or working with a healing practitioner. For inside-out, ATT offers an evolving range of Tachyonized products: including Silica Gel, Blue Green Algae, Spirulina, Vitamin C plus minerals, water(! ), and numerous organ-specific herbal combinations. What this means is profound. Of course, the SOEFs of each of these products have been dramatically enhanced, but any one of us could have done that by simply putting them on a simple Tachyonized charging device. Charging substances’ SOEFs and benefiting from the greater impact they have on us is easy and we can do it with any food or supplement. But, where the consumable substance itself is Tachyonized — meaning that it is transformed into a permanent Tachyon antennae itself — then when it is assimilated into the tissues of a particular part of the body, that part of the body becomes a Tachyon antennae as well! Tachyon, charging our own SOEFs from inside-out. The zero point energy field may be the most compelling news of our time. Not only is it likely to be providing “free energy” in the relatively near future — in terms of electrical generating devices designed to tap its potential — but it is changing our whole cosmology, our worldview, our understanding and experience of existence. It is the true spiritual matrix of Life. In the mid-1960s, quantum physicists first identified what seemed to lie at the heart of existence: an omnipresent energetic substructure (ie, interpenetrating everything) that moves Faster-than-Light (FTL). As the century drew to a close, more and more experiments began demonstrating the validity of the theory. Science has, indeed, come full circle. Several hundred years ago, science, philosophy and religion were all the same body of study. They split apart in order to explore the nature of existence, each in its unique way, from a distinct orientation. But science has now brought us back to looking at Source. We now have new names for what the rest of us have referred to as God, Brahma, Allah, the Tao, Great Spirit, etc. From the perspective of quantum physics, we now talk about Zero Point, or what David Bohm called the Implicate Order; Deepak Chopra, the Submanifest State of Being; and others, the Quantum Field. Zero point is an oceanic field of energy, vast beyond imagination. Arising out of it is tachyon energy. Existing in FTL non-frequency reality, formless Zero Point impacts the Slower-than-Light (STL) frequency universe through tachyon. Tachyon particles are the water drops sprayed off by the ocean waves. They seem to have a profound role in the creation and evolution of subatomic particles (eg, muons, quarks, taus) and consequently, the atomic structure of all of matter. Tachyon can therefore be seen as the source of all frequency. 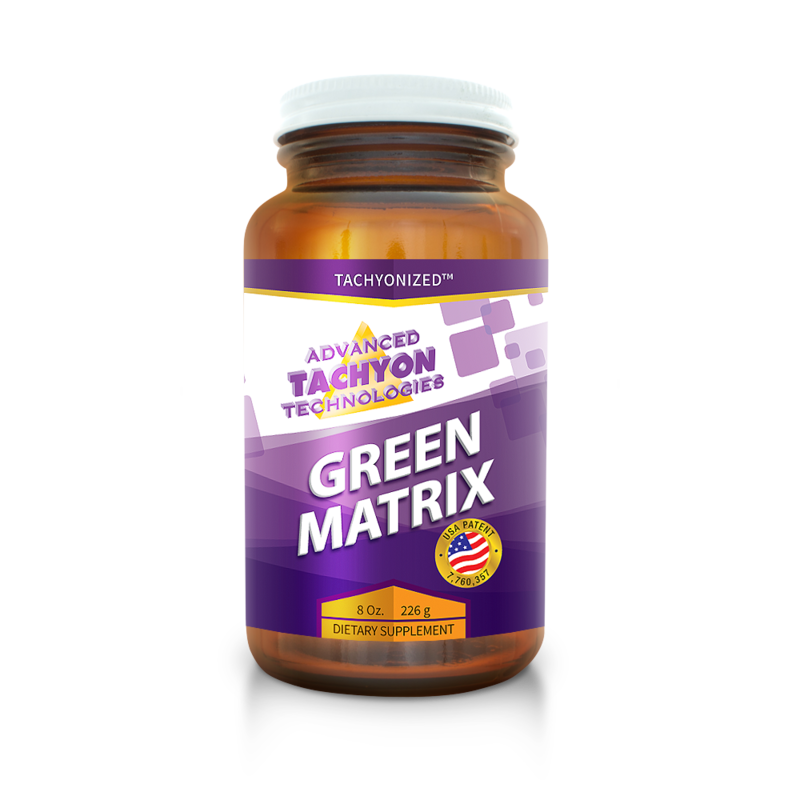 Relieving pain, strengthening our bones and protecting against osteoporosis, reversing aging, nurturing our pineal gland — all of these can be wonderful results of using the tachyon products. But the real story is that the products help us align with and attune to the quantum field itself. They help us reconnect with Source. Stay tuned. The new era of energetic spirituality is just getting started. 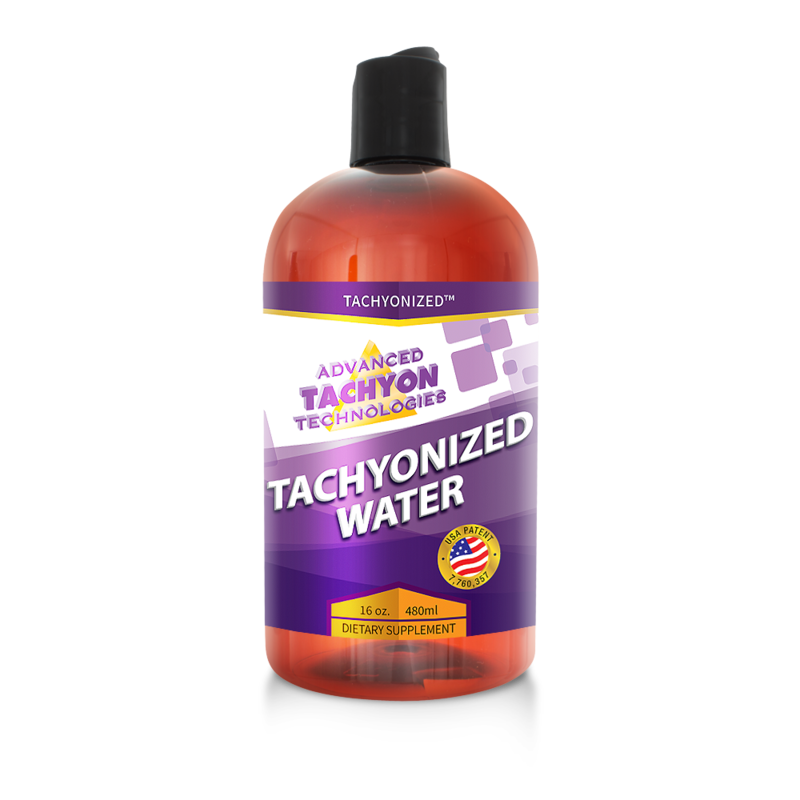 The Tachyon Starter Kit offers you some of the most important benefits. The Tachyon Rejuvenation Kit includes all of the elements of the Starter Kit and adds several other key components to help you in the “youthing” process. Right before I discovered Tachyon, I did a personal inventory on what I needed to move fully forward with my work in the world. I have explored so many modalities of healing and spiritual development, but most of them seem fragmented and incomplete to me. The effects of many things I have done — homeopathy, flower essences, herbs, nutritional supplements — have usually been quite subtle. Much of my practice with these types of things has been based on faith. It felt like that at some level, good was happening. But… was it? So, even though I used to be a holistic health coach and educator, these modalities have not been something that I could promote fully, even though they have been quite helpful at times. Therefore, I wrote up a list of “Questions to the Universe” that solicited the answers I needed (including more reliable ways of optimizing health and immune function, youthing, and the acceleration of conscious evolution), released it and went about my business. A week or two later, I went into Amazon.com to look up the author Gabriel Cousens, a wonderful M.D. and promoter of the SOEF model for healing, to see what he had come out with in the past couple of years. Sure enough, there was a book on Tachyon that he had co-written with David Wagner, the inventor of unique devices to utilize Tachyon energy and the founder of Advanced Tachyon Technologies (ATT). This book has proven to be an invaluable guide for answering numerous questions on my list. I had come across Tachyon as a vague concept a few years ago, but assumed it was flaky science: magical thinking — something people would love to be true but was in reality another false hope luring us down a dead end trail. A quick scan of Gabriel and David’s book, however, shifted that perspective. Tachyon itself is real science. Then, I read some of the experiments. Something was going on. Time to check it out. Several different products came in my initial order. My first action was to immediately put several of the devices on the breaker box through which all of the electricity flowing into our house passes. As soon as I closed the cover to the breaker box, the whole field of the house shifted. Whoosh! I reopened it, and the field went back to how it usually felt. Closed the cover again, and it felt distinctly different. It felt good. Aha! I was getting fairly excited. That night, my wife Jane announced that her lower back was going out, a chronic problem she’s had that can lay her up for several days. Okay, an opportunity to try out my new goodies! I put one of the devices on her and applied some of the special “Tachyonized” massage oil. About 15 minutes later, she abruptly asked “What is this stuff? ” Her back no longer felt like it was going out. In fact, it didn’t. She was my first convert, but of course I didn’t even know what I had converted her to — just the joint exploration of something that seems to hold much potential. When I found out about a couple of training workshops at ATT’s headquarters in Santa Rosa CA, I took the plunge. Arriving at the first of back-to-back workshops, I discovered that the scheduled trainer was unable to be there, so David Wagner himself had decided to teach his own courses, something he hadn’t done in over two years. I was in Flow! . Wanting to optimize their own health and that of their family. Working with energy — Bodyworkers, Acupuncturists, Massage Therapists, Chiropractors. Working with nutritional supplements & herbs — Nutritionists, MDs, Naturopaths. Dietitians, Osteopaths. Needing an optimal healing space — all of the above plus Psychotherapists, Counselors, Social Workers, Psychologists. Needing an optimal work space — Realtors, Attorneys, Financial Planners, Writers, etc. — anyone working with a CRT monitor. Wanting to carry their meditative, spiritual states out into the world. Okay, that’s broad. But, the Tachyon approach is what it is. And, there’s no reason to diminish it, to make it less than what it seems to be, just because it sounds too much. One important point: Tachyon is trans-denominational in that it apparently supports and enhances all healing modalities and spiritual orientations. There’s quite a bit more, but I’ll cover it in the other linked pages. Advanced Tachyon Technologies International is the manufacturer of revolutionary Tachyonized™ products and the fruition of David Wagner’s creative, engineering and entrepreneurial vision. Located in Santa Rosa, CA, it is a hubbub of activity as the friendly staff tries to keep up with both the growth that is happening, as well as continuing to develop new markets for these sets of products which do so much — yet so few people have yet heard of. David started ATTI in 1990, with possibly no more than himself. Today, it is a thriving company, located in its own building with at least 30 or so employees. Getting a tour of the facility, one is struck by the aura of efficiency, of well-thought-out detail. Yes, David is an engineer, and the work flow confirms that. Tachyonization restructures certain natural materials at the sub-molecular level, creating permanent tachyon antennas that are able to focus tachyon energy. David Wagner’s Tachyonization machine opens up a window into the point of singularity or oneness that exists just prior to frequency. This window is the gateway between our frequency world and the non-frequency world of faster-than-the-speed-of-light energy where everything exists in a state of pure potential. At this point of singularity, anything that is in the “space” is altered at the sub molecular level, causing its natural molecular structure to realign in such a way that it becomes a permanent antenna for the non-frequency tachyon energy. Once a material has been Tachyonized, the rich flow of tachyon energy through the material will maintain the molecular alignment of the material permanently. The material will still look like the original host material, yet now is a permanent tachyon-energy antenna. Just as a radio antenna would never need to be sent back to Sony to get new music, Tachyonized materials never need to be sent back to be re-Tachyonized. Once the fourteen-day process is complete, the Tachyonized materials are permanent antennas that will serve for many generations. Piracy is a term used to describe the illegal copying or distributing of unauthorized or counterfeit products. Piracy occurs when the Internet is used to advertise, offer, acquire, or distribute pirated products. Since “Tachyonized!” materials are one of the leading energy products distributed online, piracy of “Tachyonized!” products is becoming an increasing problem. During the past few years, the sale of counterfeit “tachyon energy” products to unsuspecting consumers through Internet businesses and garage hobbyists has multiplied and become a challenging problem for consumers, legitimate distributors, legitimate Internet businesses and the entire health care industry. It is estimated that there are thousands of individuals selling frequency products and passing them off to consumers as genuine “tachyon energy” products. David Wagner is not only responsible for the global explosion in the use of “Tachyonized!” tools in healthcare, but is also one of the world’s most celebrated researcher/teachers. He has educated health care professionals from around the world. A few of these, armed with his insights and teachings, have unethically renamed their existing products, claiming they contained tachyon, thus taking advantage of innocent consumers. The ease of distribution on the Internet, which allows anyone to create an Internet page and thus appear to be a legitimate business, has contributed to increased sales of pirated or fake “tachyon energy” products. The explosive growth of the Internet, combined with the anonymity, makes it easier for immoral individuals to sell counterfeit and otherwise fake “tachyon energy” products online. Disreputable online businesses often have such professional-looking Internet sites that even the savviest of consumers may fall victim to them. Distinguishing counterfeit products on the Internet was once extremely difficult because consumers couldn’t test the product, nor could they see the person from whom they were buying. Many consumers who purchase “tachyon energy” products over the Internet never even receive the products they’ve paid for, and they are often unable to get their money back when they discover that the products they purchased don’t work. Shop Smart and Avoid Being Victimized While Shopping Online. Always look for the ATTI logo. This assures you that your products were manufactured by Advanced Tachyon Technologies Inc.
Be aware that not everyone is as honest as you are. 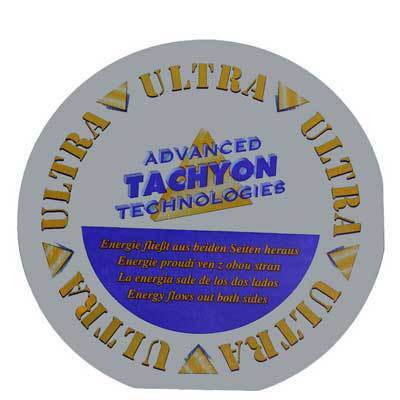 Fake “tachyon energy” products are available through Internet businesses and Internet auctions. Get full company information and phone numbers up front. Avoid doing business with companies that do not display the Advanced Tachyon Technologies logo and who are unwilling to verify their identity or full business name and telephone number for follow-up after the transaction has occurred. 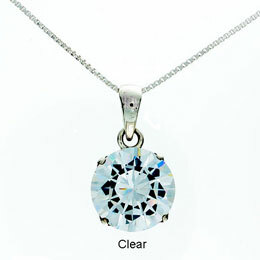 Check product prices to reduce the risk of buying illegal products. If the price seems too good to be true, it probably is. As a guide, check the offer against the Advanced Tachyon Technologies recommended or estimated retail price. Be cautious of online distributors that offer unusual inventory explanations such as special deals with the manufacturer, liquidated inventories or acquisition through bankruptcy sales. Tachyon counterfeiters often use these types of phrases to fool consumers into believing that they are getting a genuine product that was overstocked or that otherwise deserves to be discounted. Review and understand the products. It is easy to be misled on the Internet. Identifying counterfeit (i.e., fake) “tachyon energy” products on the Internet is now extremely easy. Check for the Advanced Tachyon Technologies logo. Take the time to read reviews and talk to colleagues, family, and friends, not just about the products you plan to acquire, but also about the people you’re acquiring them from. If in doubt, call the manufacturer. Advanced Tachyon Technologies which is located at 480 Tesconi Circle, Santa Rosa, Ca. 95401 USA. They will be happy to provide details about what should be received as part of the purchase and will give an indication of the price range. When purchasing “Tachyonized!” products, consumers can call the Advanced Tachyon Technologies Anti-Piracy Hot line at 707-573-3124. Higher and higher states of consciousness — culminating in what is called Christ or cosmic consciousness — have been identified for millennia by mystics as the goal of human evolution. Decades after the birth of the human potential movement and various liberation movements, the collective mind has continued to grapple with the issues of raising consciousness or inducing altered states of consciousness, which would offer a window into the limitations of our human conditioning and the vastness or our true spiritual, energetic nature. There are thousands of perspectives and approaches to these issues, but this seems true: what we call “higher” consciousness is closer, more clearly connected to the faster-than-light reality of the zero point energy field than what we perceive as “lower” consciousness is. As the intermediary between zero point and us, tachyon (and the tachyonized products) offers us invaluable support in the journey of awakening consciousness. My sense is that there is an analogy between unity consciousness splitting into duality as most of the world’s spiritual traditions speak of and the movement from the faster-than-light, pre-frequency reality of zero point into the slower-than-light, frequency reality of our generally accepted universe. This is our fundamental wholeness/fragmentation model. Again, tachyon is the medium that links the two realities, that enables the fragmented parts to continue to be nourished by and interrelating with the Whole. David Wagner has also developed a course called Quality of One, focused entirely on clearing one’s emotional baggage and greatly enhancing and sustaining a new level of consciousness. To explore the tools and training available for this work in consciousness, continue to explore this various pathways of this site. MUNICH/AMSTERDAM (Reuters) — Radio waves from mobile phones harm body cells and damage DNA in laboratory conditions, according to a new study majority-funded by the European Union, researchers said on Monday. The so-called Reflex study, conducted by 12 research groups in seven European countries, did not prove that mobile phones are a risk to health but concluded that more research is needed to see if effects can also be found outside a lab. “There was remaining damage for future generation of cells,” said project leader Franz Adlkofer. This means the change had procreated. Mutated cells are seen as a possible cause of cancer. “We don’t want to create a panic, but it is good to take precautions,” he said, adding that additional research could take another four or five years. None of the world’s top six mobile phone vendors could immediately respond to the results of the study. At every bifurcation point there is a possibility — a choice at some level — of stabilizing at a less functional, less coherent state as part of a downward spiral or reorganizing at a higher functioning, more coherent state as part of an upward spiral. Anyone who has ever witnesses an elderly person begin to collapse energetically — like bouncing down a set of health and wellness stairs — will know exactly what I mean. Pause, fall further. Pause, fall even further. Open systems rely on the availability of energy to determine which branch of regeneration/degeneration they take. The Tachyonized devices bring in the energy a system needs to jump into the next level of an upward spiral. Sometimes the application of the tachyon energy can bring an already chaotic system to a bifurcation point. It is magnifying the existing chaos and bringing it to a resolution point. Entropy or the Negentropy (Negative Entropy) of Tachyon? Entropy n. A measure of the disorder or unavailability of energy within a closed system. Two great processes operate in all systems, be they cells, humans or what have you: 1) entropy, in which energy is decreasing and disorder increasing, and 2) negative entropy or negentropy, in which energy is increasing and disorder decreasing (what Buckminster Fuller also called syntropy). … do we marshal the forces of Life — Life, the great force of negentropy in the universe — and claim our freedom from the mass mind that pulls us down into degeneration. Unfortunately, orthodox medicine (eg, the 1.2 trillion dollar health care industry in America) is caught in a web of entropic practices. In order to optimize the universal life force in our own lives, we have to become responsible for our own health and healing. We have to wholeheartedly embrace a negentropic life. This is the great gift of the Tachyonized products: they enable us reverse the forces of entropy in our own bodies and households, at a time when other planetary forces are accelerating the breakdown of all systems that have vulnerable energy supplies. First attempt with the use of whole body north-pole magnetic therapy in HIV fails — possibly due to overexposure. Ten hours a day of laying on a magnetic pad leads to an increase in the HIV viral load. The results I reported last month from Bob Mitchell on the Transfer Factor Plus (7 caps a day) along with Earthrise Spirulina, 15 caps a day and the colon formula 84211 were encouraging on August 14th. However, after sleeping and laying on the magnetic mattress for approximately 10 hours a day from Sept. 2nd through his latest lab test on Sept. 13th, all the numbers have taken a severe turn for the worse. His CD4’s have dropped from 77 to 20 and his HIV viral load has increased from 4500 to 524,479.
ould too much exposure to the magnetic field have caused the viral load to increase? When Bob got his $500 magnetic mattress on Sept. 2nd, the original protocol I suggested was to lay on it for one hour twice a day, twelve hours apart. I suggested one hour before noon and again one hour before bedtime. Bob changed the protocol due to a lack of space in his small apartment and placed the magnetic mattress on his bed where he normally sleeps and spends hours on it during the day as well. The very first reaction he had to the magnetic field was positive. He felt a sensation of heat being generated throughout his body and broke out in a sweat. These effects suggested a strong Detox reaction as well as the production of ATP needed by the cells to present viral antigen on the cell surface, a prerequisite event needed to trigger a CD8 Killer T cell response against virally infected cells. But these effects (the heat and sweating) soon subsided as he laid on the mattress hour after hour for as much as 10 to 12 hours a day. Several times during the past month, I told Bob of my concerns that he might be getting too much exposure to the magnetic field and this might cause some unknown adverse effect. I told Bob that overexposure to a magnetic field had personally lowered my energy levels and it was my opinion that one hour at a time was the maximum time to obtain the best results. When the lab results came in September 29th, it was obvious that the present method of using magnetic therapy had failed. It was also apparent that the magnetic field had no direct killing effect on the virus. Bio-magnetic therapy — working with magnet energy — has served an important role in bringing public awareness into the energy realm. The reality is, however, that magnetic healing has built-in problems. Basically, all frequencies have the ability to either pull an energy field into balance or push it out of balance. It’s a question of whether the energy field needs that specific frequency at the moment or not. Faster-than-light Tachyon has no frequency; it is pre-frequency. Pouring forth from the Zero Point Field that underlies all of existence, it is the source of all frequencies. The bottom line: all frequency energies turn negative with too much exposure. A good example would be the sun. On a hot, summer midday, 20-30 minutes in the sun is tremendously nurturing, healing and revitalizing. At three hours, it’s not. Your skin cells are fried; you’ve been damaged by the source of all life in this solar system. There has to be an intelligence to turn frequency energy off, but frequency doesn’t have intelligence itself. With tachyon, the energy fields themselves convert the tachyon into whatever particular frequency is needed. When the fields become saturated, their own intelligence knows it and stops the influx of frequency. The sun doesn’t know what you need; it’s just radiating its sun-ness. The same is true for a magnet. It only knows how to do one thing: endlessly pour out its particular magnetic frequency. I started researching magnetic healing in earnest back in the mid-70s: reading what was available by Buryl Payne and William Philpott. But even though I embraced many other alternative healing modalities, I never felt comfortable with magnets. Intuitively, I just had deep questions about whether there wasn’t some trade-off that people were ignoring. I knew enough even then to be aware that not all energy brings wholeness or balance. Some energy overrides natural mechanisms. Not long after that I encountered the work of Francis Nixon, who founded the Vivaxis Energies Research International Society in British Columbia. She was an important pioneer researcher in energetic healing, and her findings made her very much against the use of magnets in healing. “….after sleeping and laying on the magnetic mattress for approximately 10 hours a day from Sept. 2nd through his latest lab test on Sept. 13th, all the numbers have taken a severe turn for the worse. His CD4’s have dropped from 77 to 20 and his HIV viral load has increased from 4500 to 524,479. See "Failure of Magnetic Therapy & Healing" in this list for entire article. These medical test numbers report a serious slide in immune health, and the only factor seems to be the overexposure to the magnetic field. It certainly seems to bear out the research that Advanced Tachyon Technologies has done on this issue as well. A healthy alternative to the magnetic mattress pad is the Tachyonized™ Sleep Pad, which I personally love. As the largest purveyor of magnetic therapy products, Nikken may need to revise some of its claims soon. There is huge story getting ready to emerge documenting the beneficial impact of tachyon energy on human energy fields versus the dubious impact of magnetic energy. Apparently a study exists, which directly compares products from Advanced Tachyon Technologies with Nikken and its magnetic therapy products using scientific testing procedures. I have not seen the study so I cannot say more, except that I am very curious. Subscribe to the Quantum Vitality newsletter to stay informed.